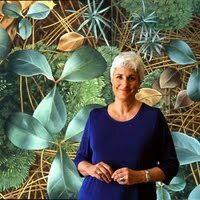 Ruth Lull: Studio "House Work"
I opened this blog account many months ago and then failed to follow through! So many exhibits I've viewed and so much nature I've enjoyed and I never caught up with archiving it with photos. Time to catch up... I'm a whole season behind! 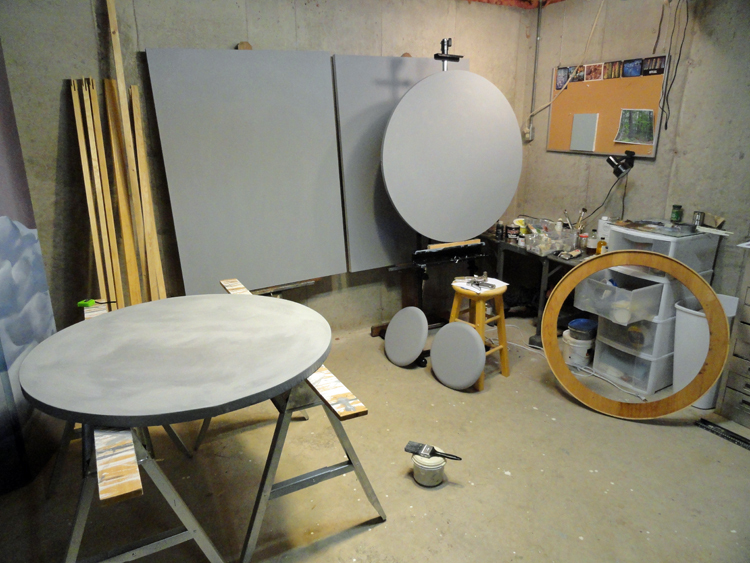 Here a bit of the works in progress and happenings in my own studio. I had some perfect days this summer for taking the studio OUTSIDE! 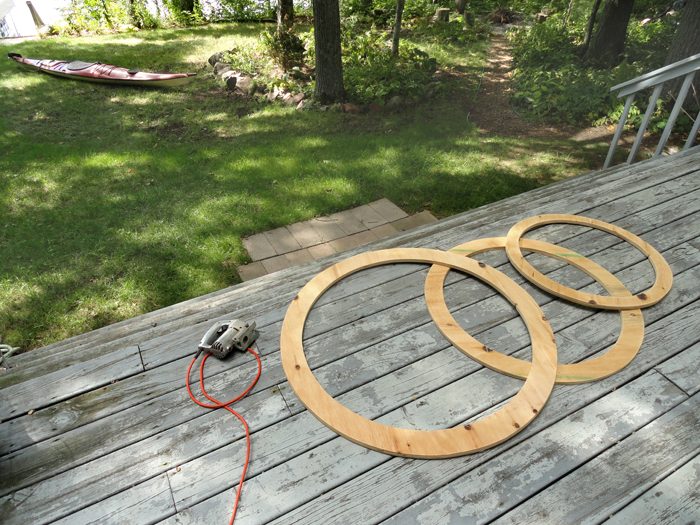 Bob helped by cutting these circles from 3/4in plywood so I can make stretchers for tondos. I soaked the lath strips overnight in the lake (tied to dock) to make them piable. Then clamped them around the 3/4 in. 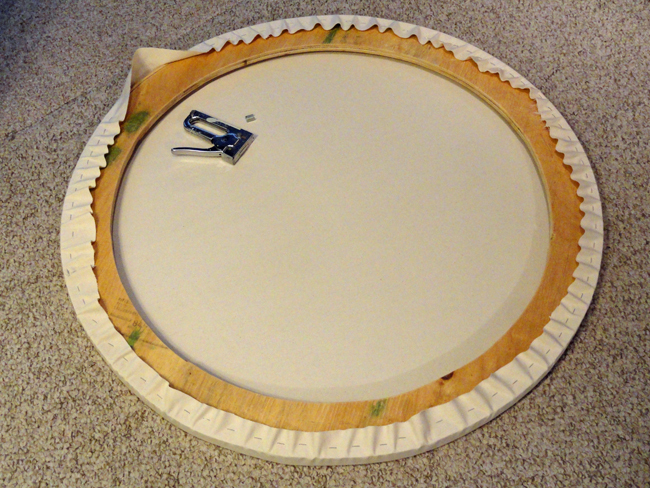 plywood forms while still wet. 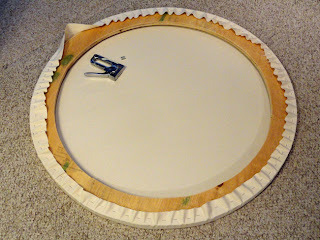 Stretching and sizing with gesso. 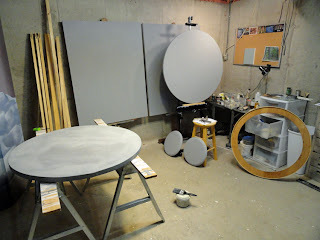 I hate painting on white canvas...so I color my gesso grey. 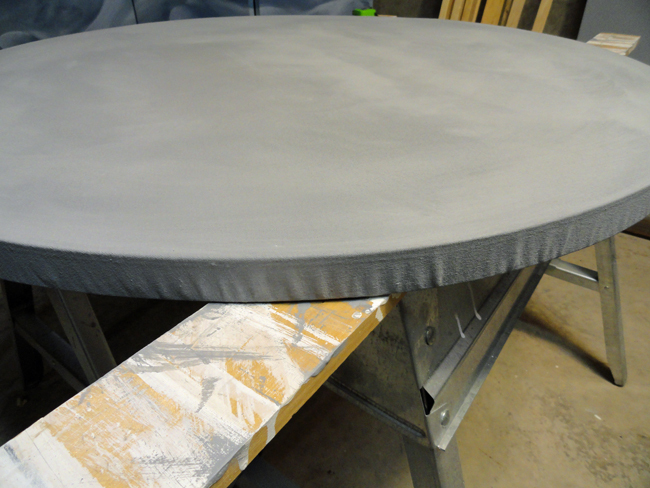 Stretching a round canvas requires a lot of "easing in"
Aaarrgh...wrinkles! I did not ease the canvas in, evenly. I will have to go back and restaple to tighten it all around! Left: stage one. 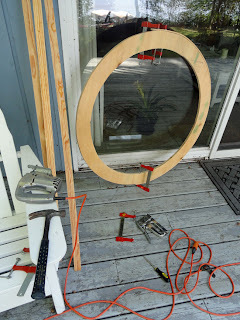 Drawing it in a composition in keeping with the tondo shape. Right: stage two. 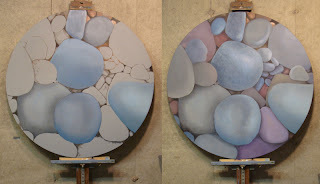 I began to give some shape to the stones .. Sadly it is here that I stopped as I'm a bit unsatified with this start. I am going to work on some other small painting and return to finish it ...or maybe paint over it! I have tossed MANY a painting as well. But this canvas took enough effort to get stretched and sized, that I may allow it to winter over in my storage bin and rethink the image. Nice blog. 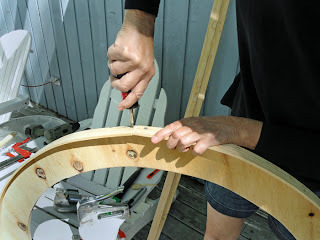 To stretch a round canvas is that hard? I have some printings on canvas I would like to stretch but I'm not feeling confident enough. Could you give some tip or advise?